Indian rojak left such a deep impression on chef Lam Ming Kin of Longtail that he created a chutoro tartare fashioned after the mixed fritter salad. When Hong Kong chef-owner Lam Ming Kin of one-Michelin-starred contemporary European restaurant Longtail in Taipei took his first bite of Indian rojak, he was intrigued. Although it has been six years since he first tried the mixed fritter salad at a food court in Singapore, Lam still remembers the flavours vividly. He says: “It is a very interesting dish and has a rich depth of flavours.” It is only apt that the acclaimed chef presented his innovative rendition of Indian rojak when he returned to Singapore to cook at the MICHELIN Guide Singapore gala dinner recently. Like his cosmopolitan cuisine in Longtail, the dish is a melting pot of flavours and techniques from around the world. 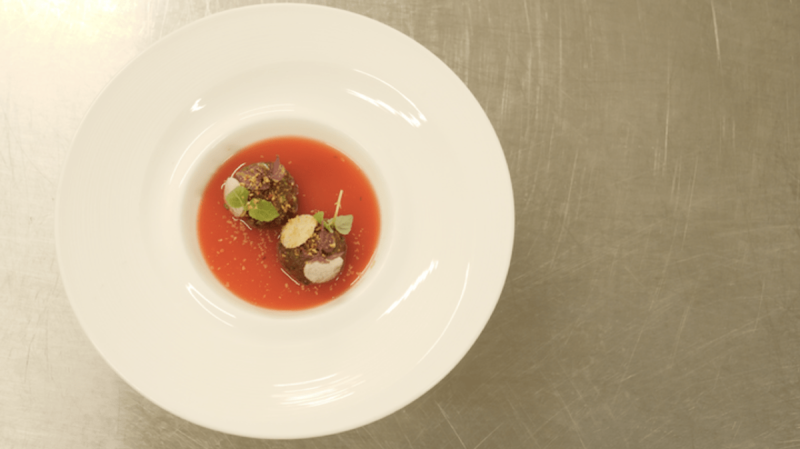 For the appetiser, he used ingredients that are commonly found in Indian rojak, but injected a Japanese element by tossing the ingredients in a seasoning concocted with shoyu, sake and kombu. He mixed these ingredients with chunks of chutoro to create a flavourful tartare. Tying up the various components was a crimson pool of watermelon soup. What was the inspiration behind the dish? I was inspired by Indian rojak, which I tried for the first time in Singapore about six years ago. I found the dish interesting as it has a rich depth of flavours from spicy to sweet. What goes into this dish? I used key ingredients that are used to make Indian rojak such as peanuts, chilli, sweet potatoes, shrimp paste, garlic and shallots. I mixed these ingredients with Japanese seasonings such as shoyu, sake, kombu and add chutoro (tuna belly). The dish, which is like a seafood salad, is served with watermelon soup that is infused with South-east Asian ingredients such as lemongrass and basil. I also made a pickle from watermelon rind, which added texture and acidity. How is this dish representative of your cooking at Longtail? There are no limits when I create a dish. My background is in French cuisine so there is some use of Western techniques. As I am from Hong Kong, I also include Cantonese cooking techniques. I like to combine local ingredients in my dishes too. As long as there is a harmonious contrast in textures and flavours, the dish will taste good. What do you think of the theme of this year’s MICHELIN Guide Singapore Gala Dinner is “The Past Through Tomorrow”? Classic ingredients and cooking techniques will never become outdated as we can use them to create something new. It is about using the past to create our future. 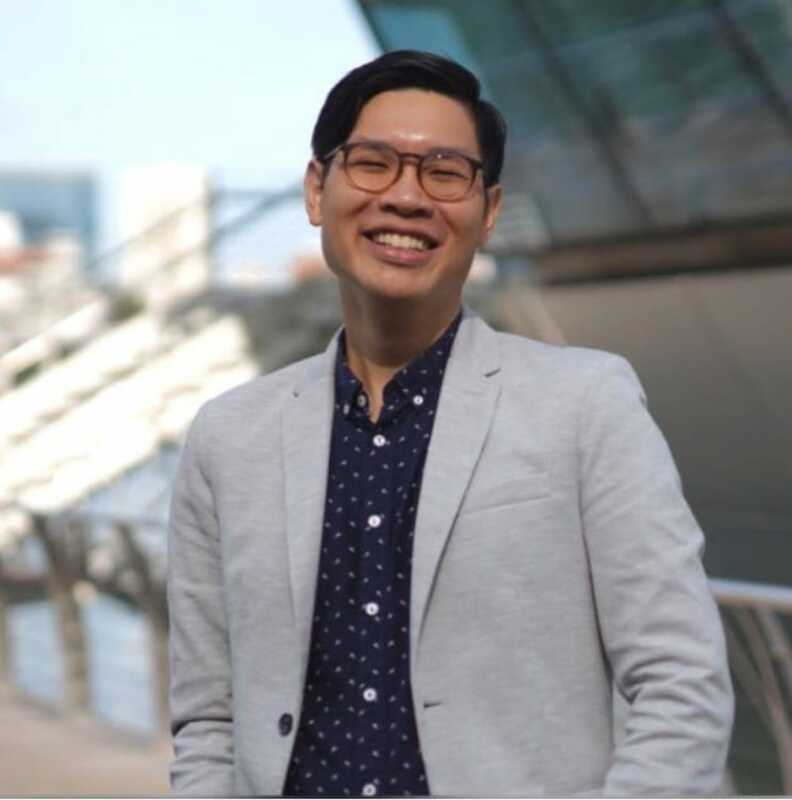 Kenneth Goh is the Associate Digital Editor at the MICHELIN Guide Digital. A former newspaper journalist, the food writer relishes uncovering stories in eateries and kitchens as much as hunting for new chomping grounds. From chefs, restaurateurs to hawkers, he is intrigued by the blend of ingenuity and hard work behind their dishes. He is game to try any food once - as long as it excites his palate. Follow his food adventures on Instagram: @Kenneats. Get in touch via email. The second edition of the Taipei Guide welcomes three new two-starred and four new one-starred restaurants to the city. Five new two-starred restaurants are included in this year's guide.